I start with an idea or particular stone that interests me and start sculpting. Each stone has its own story to tell and the sculpting process is about discovering that story. I try to capture the natural essence of the stone in my design, everything I sculpt is unique creation. I work on multiple sculptures at any one time so there are many in various stages of completion scattered around my studio. I am inspired by the pattern in nature, the character of stone and the curves of the human figure. 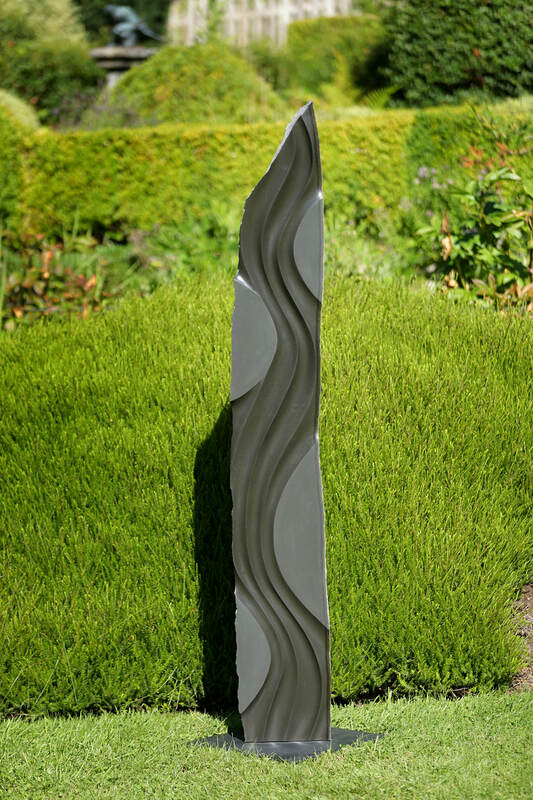 My work varies in scale, some small and others are large-scale sculptures in granite or basalt that can stay outdoors in any weather. ​HWY525 to Freeland, turn N Harbor Ave. Turn left immediately on Roberta Ave to metal building behind WAIF Thrift Store. Freeland Arts Studios. Ample parking around the studio.